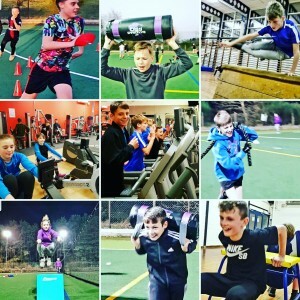 Berkshire Strength Academy provides your child with an additional training session, that focuses on strength, agility, speed, endurance, flexibility, and recovery – all essential components of a sportsperson’s training, whatever the sport. Each 90-minute session has a different focus, with strength and endurance testing taking place on the first and final session each term, to ensure your child’s development is monitored. Athletes work in a group environment, yet are set individual challenges from a range of fun and exciting bodyweight circuit sessions, exhilarating bootcamp style activities, and will be taught how to safely use a range of free weights and resistance weights equipment. With access to an indoor gymnasium, fitness suite, astro pitch, and a field with an eight lane 400m track*, each week’s actual location of the session differs, but we always meet outside the Edgbarrow School Reception building. Sessions starts at 5.30pm and ends at 7.00pm. Athletes need to dress for the weather, and bring a drink with them. Our sessions are not for the feint hearted, but for those who are prepared to put in 100% each week, to ensure they reap the rewards and continue their development in becoming outstanding athletes in their field. Places are limited to a maximum of 20, enabling athletes to be supported and guided on a more personal level. StepUp Sports Coaching is the trading name of StepUp Foundation, a not-for-profit social enterprise that uses sport to improve the lives of disadvantaged and disabled young people. All profits from our sports coaching activities are diverted to our charitable projects. - "It is amazing here!"